In the surreal world of Royal Memorabilia, we thought the Commemorative Royal Wedding Ring would be untopplable. But by adding some goodies from Custom Cookie Co into the mix we think we've truly come up trumps. 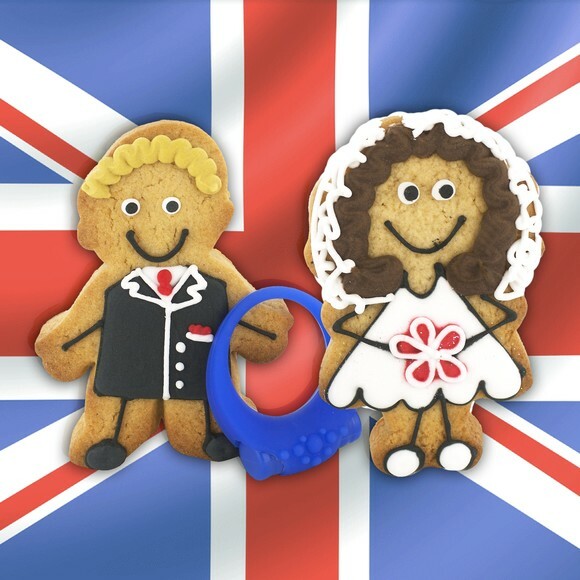 Behold a glorious and patriotic vision of a Prince William iced biscuit proffering a special wedding ring to a Kate Middleton-shaped cookie. Many thanks to Rackspace for sending us the happy couple in confectionary form so we could set up this incredible photoshoot.